COPY WRITING: Jo Diaz is the editor and publisher of Wine-Blog’s Juicy Tales, a wine industry publicist, and the founding executive director of PS I Love You. As of July 1, 2009, social media is now part and parcel of what I do for PSILY‘s PR efforts. 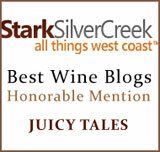 As of June 2011, I’m putting stories about the OR Pinot Gris Symposium on my site, while working for Oak Knoll Winery. As of November 2011, I’m working on the Roule Rouge Website, blogging; I’m managing, blogging, and working on the Oregon Pinot Gris site. I do NOT do social media for the rest of our clients. If I mention them on Facebook, Twitter, or this blog, I’m doing it for the sheer passion, with no compensation. They each have their own social networking people filling that segment of their marketing needs, if they have anyone doing that for them. On this blog, I’m sharing my personal learnings about my clients and their brands, while working with them; and my blog posts are for entertainment purposes, only. Clients do NOT pre-approve what is being written on this wine blog. What’s on this website are my own observations and personal opinions, unfiltered, unfined, and uncensored. Now that that’s out of the way, what I would really like to post on this one, but know that if I did, the government might then want me to calculate all the free stuff I’ve received (or not, but said I did). Then the next step would be for me to put a price tag on it, so they can tax me. I am, therefore, just adding this wonderfully classic addendum from John Chow Dot Com as comic relief. He’s given the world permission to use his Disclosure as a template. I’ve added “wine” in every instance; otherwise, it’s his great copy and concept. I’ve also borrowed this great image that he’s used from a1rnmu74. * I make money from every post I put on this wine blog. 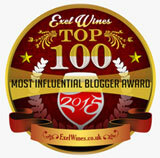 If I’m not making money from every wine blog post, then it was an oversight on my part and it will be corrected soon. * Every link on this wine blog is a paid link. If it is not a paid link, then it was an oversight on my part and it will become a paid link soon. 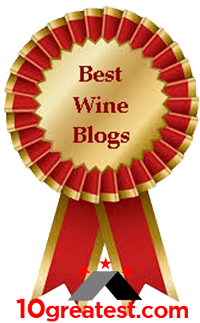 * Every product I write about on this wine blog, I get for free. If I didn’t get it for free, then there was a miss-communication with the company that sent it and I will be billing them for the cost so the product becomes free. * I make money from every wine tweet I send out on Twitter. If I didn’t make money on the wine tweet, then it was an oversight on my part and it will be corrected soon. * If you email me, all of the information in your email is mine to do with as I please, such as exploit for financial profit, use as blackmail, or quote on my wine blog. * The T-shirts you see me wear at wine trade shows. I get paid to wear them. If I didn’t get paid to wear them, then it means I ran out of paid shirts and had to wear a free one. In which case, I will go to the company that gave me the free shirt and ask them to sponsor it. * If something on the Net is making a lot of money, you can bet I will be in on it. If I’m not in on it, then it was an oversight on my part and it will be corrected soon. * Just because I get paid to blog, tweet, wear T-shirts, etc. does NOT mean I will give you or your company a positive review, wine blog post, or endorsement. As a matter of fact, chances are pretty high that I might slam you. I was looking at a number of Technorati blog listings when I found your site. I spent some time looking at your information and enjoying your sense of humor. 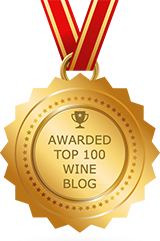 I have been blogging for less than a year, but am always looking for good “wine” sites to share with my readers. I am adding a link to your blog on my site. Keep up the good work!! Ronald, thanks for the kudos.